Who says boys’ bedrooms can’t be stylish? We’ve selected our favourite ideas, schemes and tips for boys’ bedrooms that look great while remaining practical. 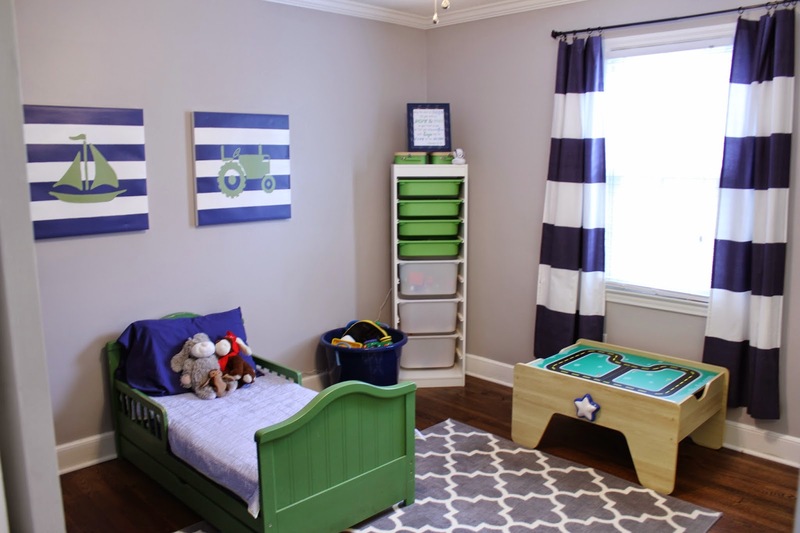 Whether you’re looking to create the perfect nursery, create a vibrant play zone or overhaul your teen’s den, you’re bound to find something to fire up your imagination. 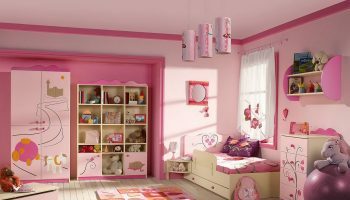 If you have a young child, it’s highly likely that you’ll want to opt for bright colours. Feature walls with fun print children’s wallpaper or wall stickers are a great way to liven up a scheme (and are sure to be a hit with the kids). Traditional colour palettes such as blues and reds are the classic option, but don’t be afraid of zingy yellows or calming pastel shades if you want something a little different. Of course, nautical themes remain an established choice for young boys. Don’t be afraid to, um, push the boat out with porthole designs or printed curtains to make the room pop. Remember, stripes are good for adding interest and won’t be outgrown as quickly as more childlike motifs, which makes them a good bet for slightly older boys. If your son is sporting mad, you can renew the age-old football theme with the addition of vintage football tables and cool posters (perhaps restricted to a painted feature wall). Then again, elegance and tranquility could be more your – and your son’s – style. Traditional sleigh beds, muted pastel tones and painted floorboards are the way to go to achieve this. Oh, and wooden floors are great for practicality, while a rug will up the cosines factor. Whatever look you go for, and whatever age your boy, storage space is paramount. Whether it’s hanging, modular or under-bed, somewhere to hide all those school books, toys and clutter will save on headaches. Open-backed shelving also makes for a great room divider if you have two children sharing. Likewise, modern bunk bed designs or built in beds are a great space-saving solution and can often be designed with extra storage solutions in mind. The wonders of great artwork! Walls adorned with gallery-style wall decor are popping up, and the best part of this fun trend is that it celebrates all styles of art and doesn’t have to cost a fortune. Use individual pieces accumulated over time instead of buying a matching furniture set. Not only is it an excellent way to save, but in the case of Evyn’s nursery, it achieves a colorful and eclectic look, layering in the new with the old. A plain, boring glider becomes super chic with the addition of new cushions in a trendy, graphic pattern. Throw in a few colorful pillows for added back support and this nursery essential suddenly becomes and a real showstopper. Shades of blue pair with green to create an amphibian-theme room, perfect for the boy who is forever catching frogs and turtles, and asking, “Can we keep him?” A wall mural evokes a by-the-pond look, and durable cotton bedspreads and pillowcases will stand up to rough boy antics. Consider using built-in shutter shades on windows rather than bulky curtains. Why invest in knickknacks to develop a theme when toys can be your decorating accents? Fill shelving units or built-ins with toys, games, and books. Favorite trains and cars become artwork when displayed on shelves. Look for baskets or bins that match your color scheme to corral building blocks and smaller toys. Place them along the shelves or under the bed for organization and pops of color. Tan and beige walls pair well with red accents. But, when a shake-up is needed, the red cushions and curtains can easily be switched out with green, blue, or any combination of hues. The neutral walls, cabinets, and furniture can stay put, even if a brand-new color is ushered in. The subtle stripes on the walls keep the neutral background far from boring.